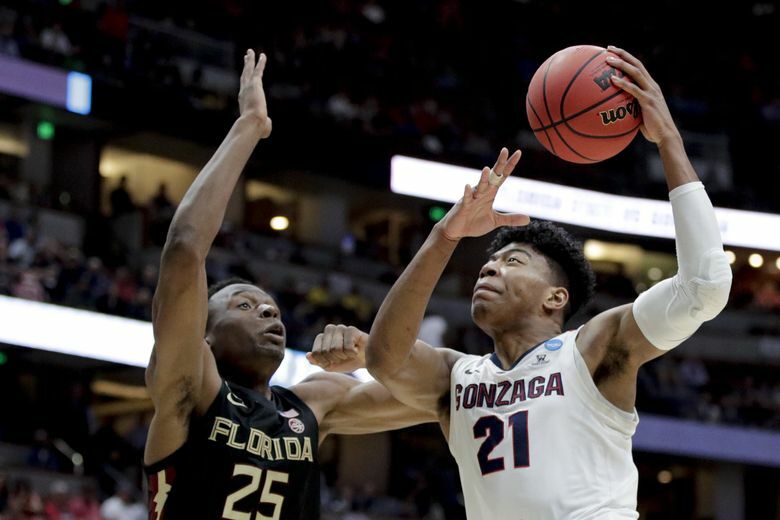 ANAHEIM, Calif. — Gonzaga makes buckets. It does so better than any team in college basketball. The Zags’ 88.8 points per game are tops in the country and would have led the nation every year but one over the last decade. Texas Tech stops buckets. It does so better than any other team in the country. According to kenpom.com — the go-to analytics site for all things college basketball — the Red Raiders’ adjusted defensive efficiency rating of 84.3 is not just the best in the country this year, but the best in the website’s 17-year history. So who wins when the unstoppable force from Spokane meets the immovable object from Lubbock in the Elite Eight on Saturday? That’s easy. This is going to be like Clayton Kershaw staring down Mike Trout, or Tom Brady testing Richard Sherman. These two do what they do best better than anyone else in college hoops. In boxing, they say that opposing styles are what make great fights. How does it get more opposing than this? With Gonzaga, you have a team that has cracked 100 points seven times this year and 90 17 times. You have a team with four players averaging double-digit scoring, including three averaging more than 15 points. Big man Rui Hachimura comes in with 19.6 points per game and a field-goal percentage of 59.9. Even bigger man Brandon Clarke comes in with 16.9 average and a nation-leading field-goal percentage of 68.7. Zach Norvell Jr. has scored 15.1 points per game while having knocked down 95 three pointers, and senior Josh Perkins is having his best year as a Zag with averages of 10.9 points and 6.3 assists. Post or perimeter, transition or half-court set, top-seeded Gonzaga finds a way to score anytime against anybody. Obviously winning is priority one, but is there a part of you that also wants to show what your offense can to do their defense? Can’t blame Perkins for his bluster. He just watched his frontcourt barbecue a giant Florida State team in Thursday’s 14-point victory. Though Gonzaga has seen some of the best teams in the country this season — including Duke, which it beat — it hasn’t faced a defense quite like third-seeded Texas Tech’s. The 59.2 points per game the Red Raiders allow are the third fewest in the country, and their defensive field-goal percentage of 36.8 is the second lowest. Three players average at least one steal per game, and Tariq Owens, one of 10 finalists for National Defensive Player of the Year, averages 2.4 blocks. Asked if Gonzaga’s 1-2 punch of Hachimura and Clarke present a challenge in the post unlike anything he and his teammates have seen this year, Owens politely said no. Some might say the Big Ten is even better, but Texas Tech took an ax to that narrative Thursday when it held second-seeded Michigan to 44 points in a 19-point win. The Red Raiders haven’t allowed anybody to score more than 58 points in their three NCAA tournament games and have won each by at least 15. Twelve years ago, coach Billy Donovan’s Florida team entered the Dance as a No. 3 seed before beating all but one of its tournament opponents by double digits en route to becoming national champions. Through three games, coach Chris Beard’s Red Raiders have been similarly dominant, and after making the Elite Eight for the first time last year, have a chance to go to the Final Four for the first time in program history. And its defense is what will have got them there. And even more fun for us to watch.